This time the risk involves the Elena dam, which is located below the village of Elena on the bank of the Biserka river. In the case of a breakdown, the wave will once again hit Biser, which is struggling to recover from Monday's disaster. According to reports from the Interior Ministry, the main spillway of the Elena dam has been plugged with concrete but the current weather conditions necessitate urgent measures for a controlled release of water from the reservoir. On Monday, massive flooding caused by a dam wall failure resulted in the death of eight people, four of them residents of Biser. It was revealed that an ownership dispute between the Defense Ministry and the Harmanli Municipality had prevented repair works of the facility. On Tuesday, the government declared February 08 a day of mourning in memory of the victims of the flood. Over 60 people have been evacuated from Biser. The damages caused by the collapsed dam wall are currently been examined to determine the amount of compensations. 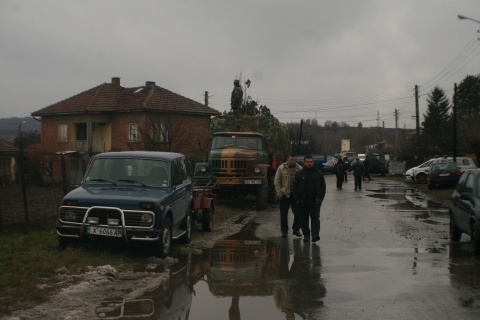 The villages of Lyubenovo, Rhodopi and Bryagovo have been cut off from other residential areas due to road damages but the necessary steps have been taken to ensure that the local population has access to food and other commodities of prime necessity. » Bulgarian President President Rumen Radev Will Participate in a Meeting with the Business in Haskovo.